Join the MegafoniX Jams every second Thursday of the month! Every jam we’ll focus on a different style of music. We’re very excited to announce this month’s First collaboration with Jam in Brussels and for this Special event we will take place in CAFE BÉBO (near Place Rouppe) !!! Kammak consist of 2 musicians who’ve crossed each other on the streets while playing music. 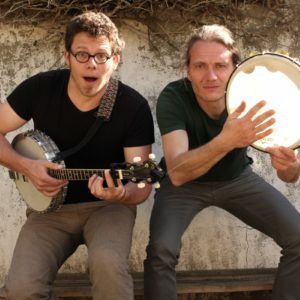 20 years later, they still share the same passion for groove, impro and folk music with a healthy dose of no-nonsens-attitude. After a live concert of Kammak, the jam is open, JOIN IN!